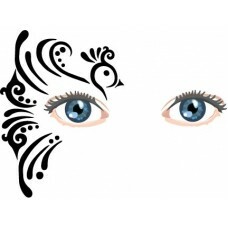 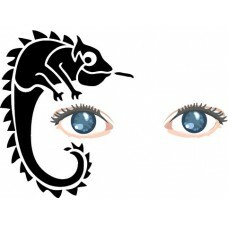 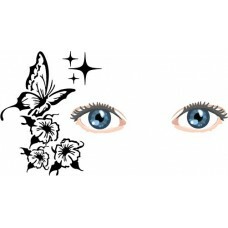 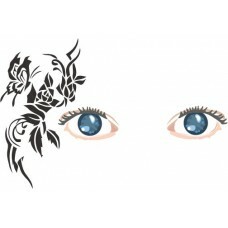 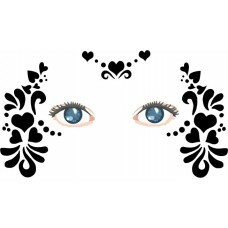 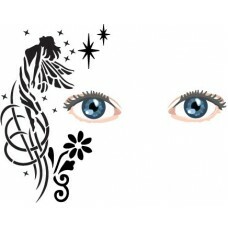 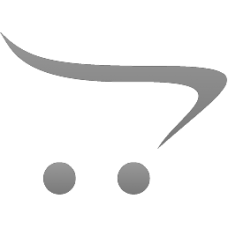 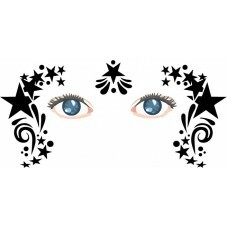 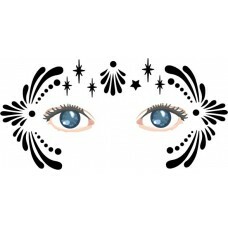 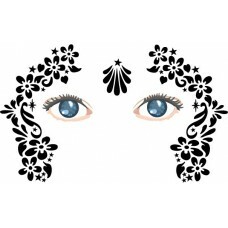 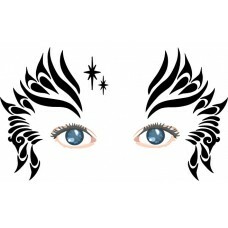 Here you will find a range of face painting stencils. 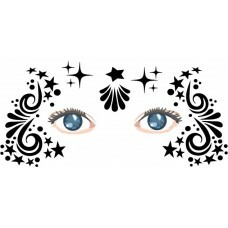 They are designed to be used with either an airbrush or a sponge to make professional faces with ease so now anyone can facepaint. 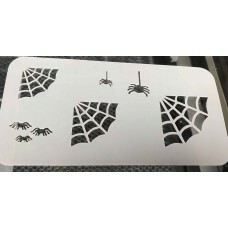 We dont supply the printed card but we can give you a file to download and print just ask on the comments box or drop me an email. 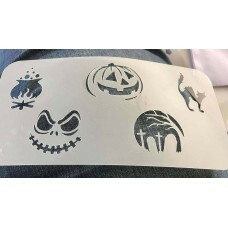 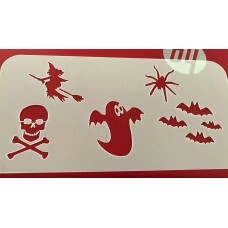 Are you interested in buying these stencils wholesale? 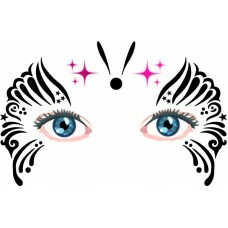 Please contact me good discounts apply. 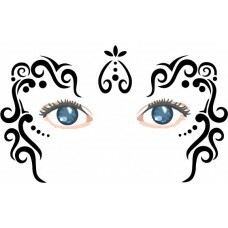 Henna inspired reusable stencil made from 190 micron mylar. 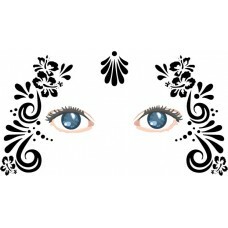 Sizes design 50mm x 83mm stencil 80mm x 110mmThis has a handy keyring hole for sto..
Lovely rose design made from 190 micron mylar, fully reusable without compromising on hygiene.sizes stencil 80mm wide x 125mm talldesign 48mm wide x 100mm tall..
henna design stencil made from 190 micron mylarsizes stencil 90mm x 90mm design 53mm x 55mm..
henna inspired stencil made from 190 micron mylarsizes stencil 80mm x 140mm design 54mm x 116mm..
henna inspired stencil made from 190 micron mylarsize stencil 80mm x 80mm design 32mm x 57mm..
henna inspired stencil made from 190 micron mylarsizesstencil 100mm x 80mmdesign 89mm x 60mm..
henna style stencil made from 190 micron mylarsizesstencil 100mm x 175mmdesign 81mm x 140mm..
henna inspired stencil made from 190 micron mylarsizesstencil 80mm x 80mmdesign 49mm x 54mm..
henna inspired stencil made from 190 micron mylarsizesstencil 80mm x 80mmdesign 49mm x 51mm..
henna inspired reusable stencil made from 190 micron mylarsizes stencil 70mm x 70mmdesign 40mm x 33mm..
henna inspired reusable stencil made from 190 micron mylarsizesstencil 100mm x 110mmdesign 71mm x 88mm..
henna inspired reusable stencil made from 190 micron mylarsizes stencil 90mm x 90mmdesign 68mm x 69mm..
henna inspired reusable stencil made from 190 micron mylarsizesstencil 100mm x 80mmdesign 57mm x 56mm..
henna inspired reusable stencil made from 190 micron mylarsizesstencil 100mm x 70mmdesign 84mm x 33mm..
henna inspired stencil made from 190 micron mylarsizesstencil 70mm x 130mmdesign 50mm x 109mm..
henna inspired stencil made from 190 micron mylarsizesstencil 80mm x 80mmdesign 51mm x 50mm..
henna inspired reusable stencil made from 190 micron mylarsizesstencil 80mm x 150mmdesign 44mm x 126mm..
henna inspired reusable stencil made from 190 micron mylarsizesstencil 80mm x 80mmdesign 47mm x 42mm ..
henna inspired stencil made from 190 micron mylarsizesstencil 100mm x 145mmdesign 71mm x 119mm..
henna inspired reusable stencil made from 190 micron mylarsizesstencil 75mm x 109mmdesign 53mm x 89mm..
henna inspired reusable stencil made from 190 micron mylarsizesstencil 90mm x 140mmdesign 67mm x 118mm..
henna inspired stencil made from 190 micron mylarsizesstencil 80mm x 80mmdesign 53mm x 49mm..
henna inspired stencil made from 190 micron mylarsizesstencil 70mm x 165mmdesign 34mm x 141mm..
henna inspired stencil made from 190 micron mylarsizesstencil 80mm x 125mmdesign 59mm x 96mm..
henna inspired reusable stencil made from 190 micron mylarsizesstencil 100mm x 90mmdesign 79mm x 59mm..
henna inspired reusable stencil made from 190 micron mylarsizesstencil 80mm x 50mmdesign 54mm x 18mm..
henna inspired stencil made from 190 micron mylarsizes stencil 80mm x 100mmdesign 39mm x 74mm..
henna inspired stencil made from 190 micron mylarsizesstencil 80mm x 110mmdesign 53mm x 90mm..
henna inspired stencil made from 190 micron mylarsizesstencil 70mm x 110mmdesign 36mm x 85mm..
henna inspired reusable stencil made from 190 micron mylarsizesstencil 100mm x80mmdesign 83mm x 51mm..
henna inspired stencil made from 190 micron mylarsizesstencil 70mm x 70mmdesign 51mm x 52mm..
henna inspired reusable stencil made from 190 micron mylarsizesstencil 60mm x 94mmdesign 44mm x 72mm..
multipart stencil which can be used with an airbrush or sponges to make a mardi gras face ..
crackle stencil made from reusable mylar ..
multipart stencil which can be used with an airbrush or sponges to make a mardi gras face one size to fit children and adults.. 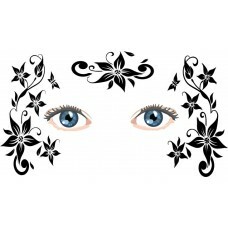 This stencilis made from mylar and measures 180mm x 95mm..
multipart stencil which can be used with an airbrush or sponges to make a beautiful face . 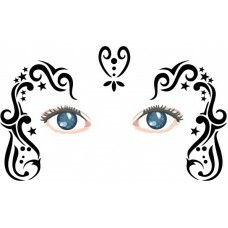 ..
multipart stencil which can be used with an airbrush or sponges to make a pretty face . 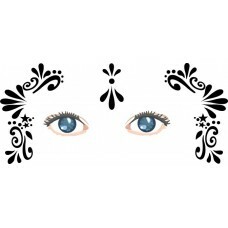 ..
Ovl texture stencil suitable for backgrounds etc and while making larger designs. 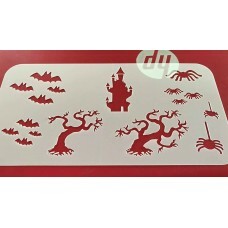 Made from mylar so durable and long lasting.. 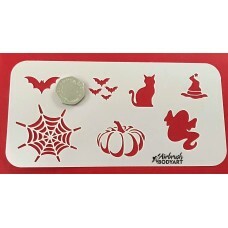 This stencil is made from mylar and is for young children but because of the design you can use it for adults by allowing a gap between the ears and the centre design. 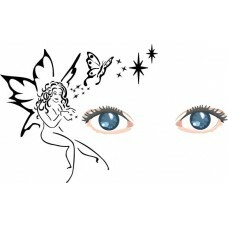 The stencil is 180mm x 110mm..